Wow!! Last month was a great start to documenting more of my travels/journey. 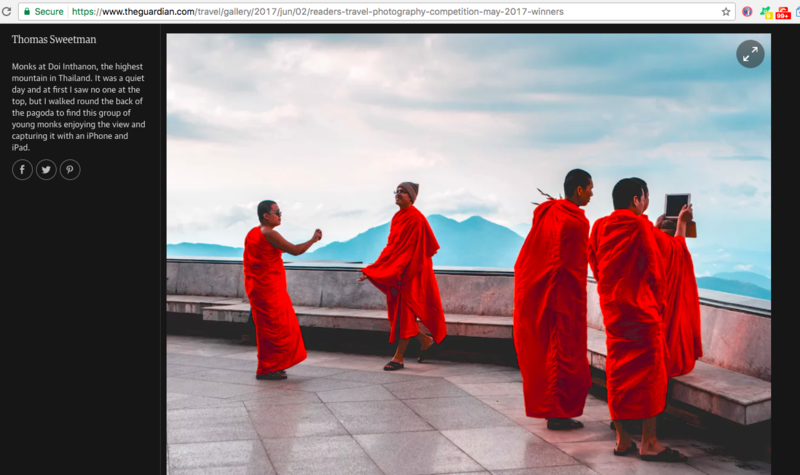 My picture of Monks taking photo’s with I pads and Iphones at a temple in Thailand made it into May’s Guardian Travel Photography. A big shout out to the unknown monks.